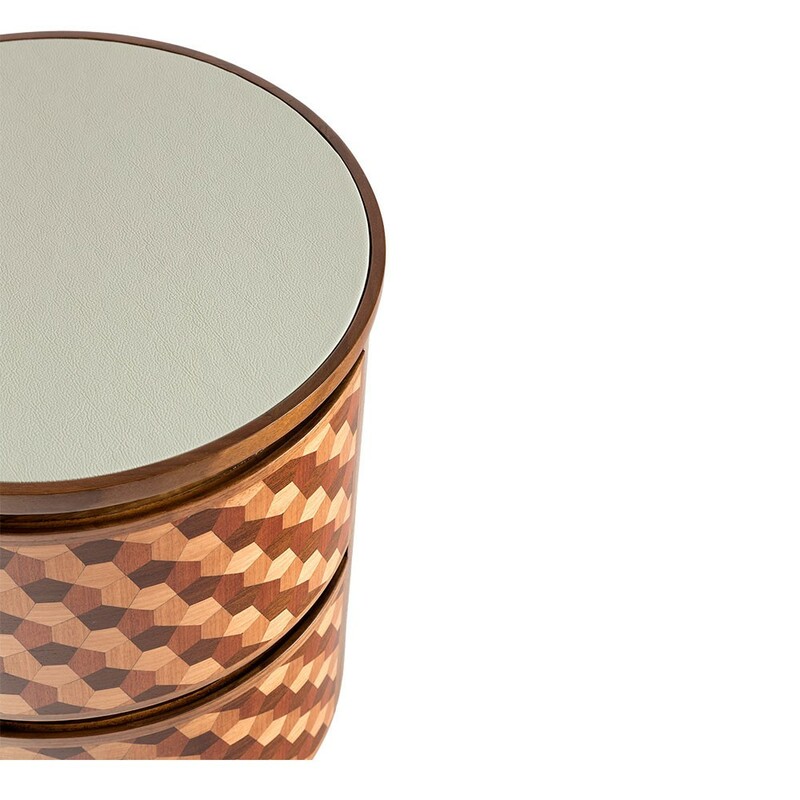 *Marble or mirror can be used on top surface upon request. 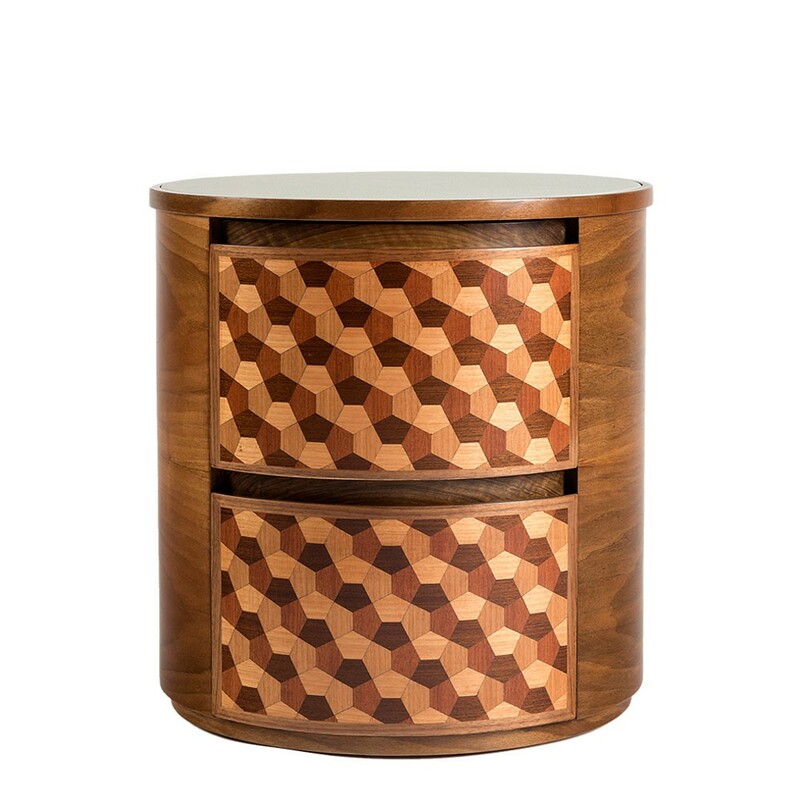 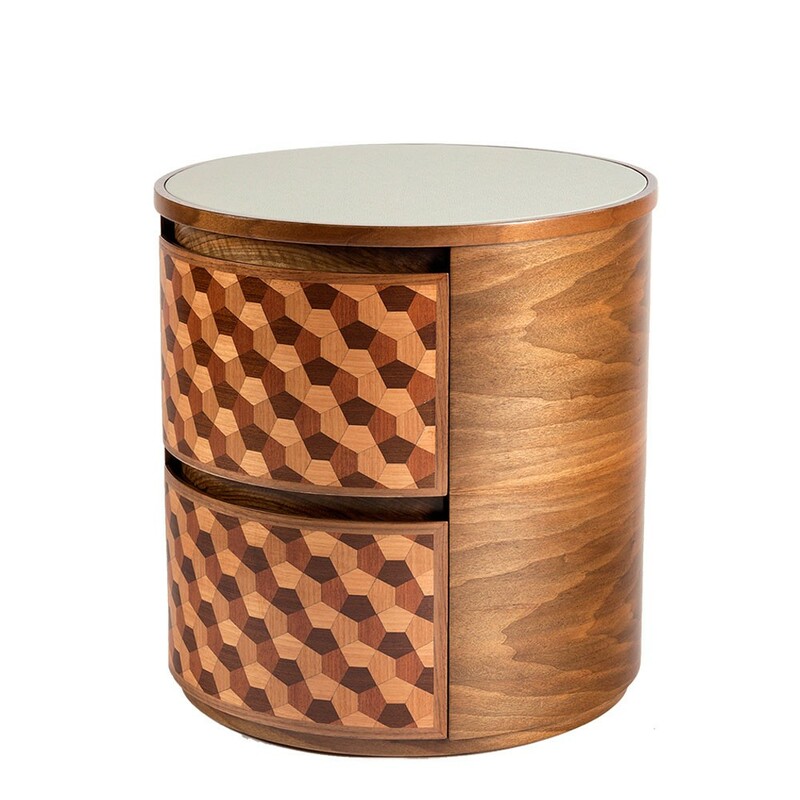 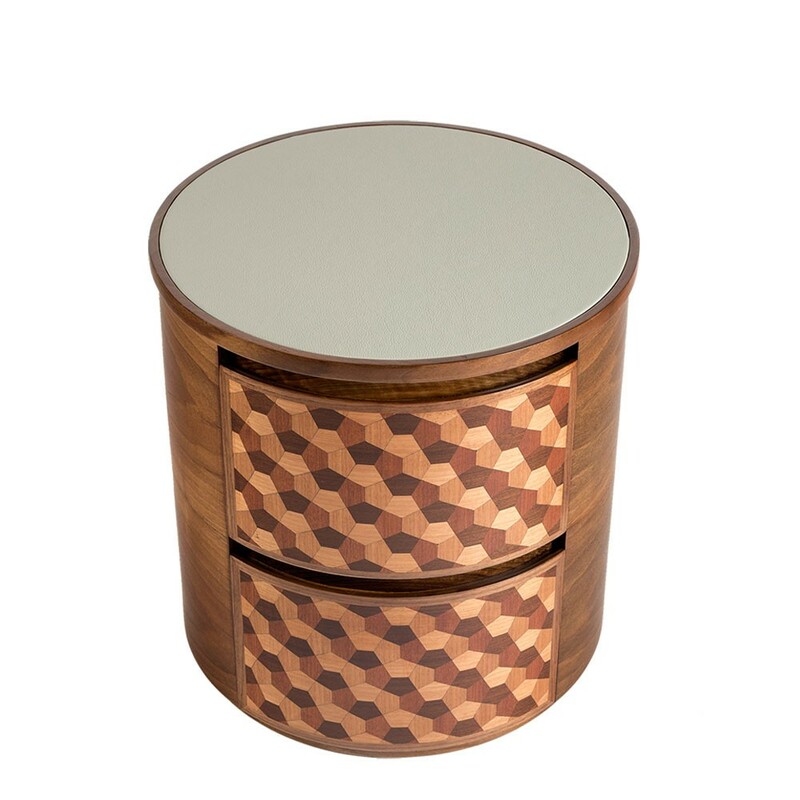 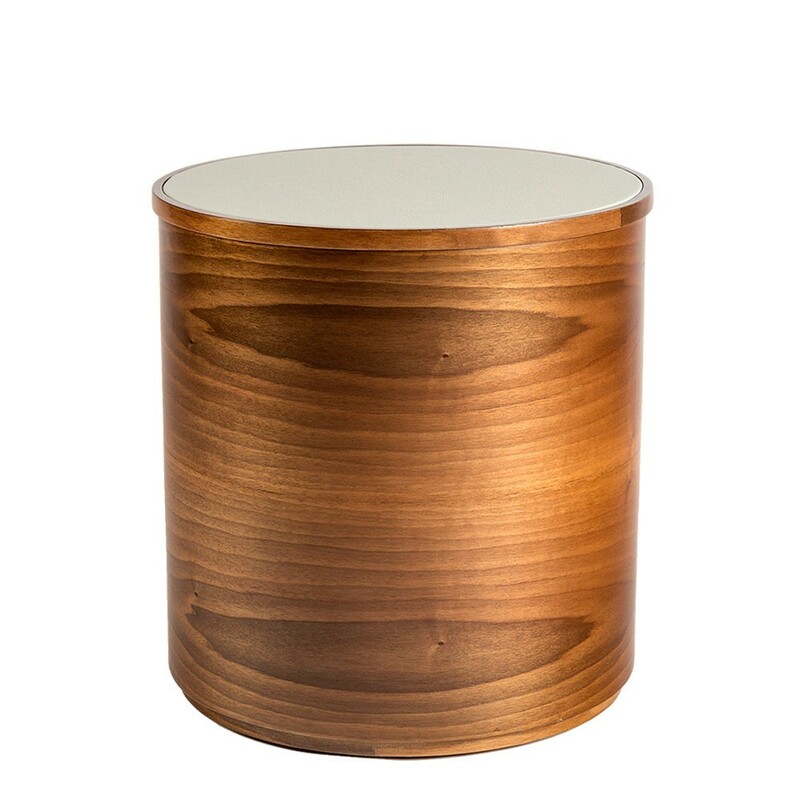 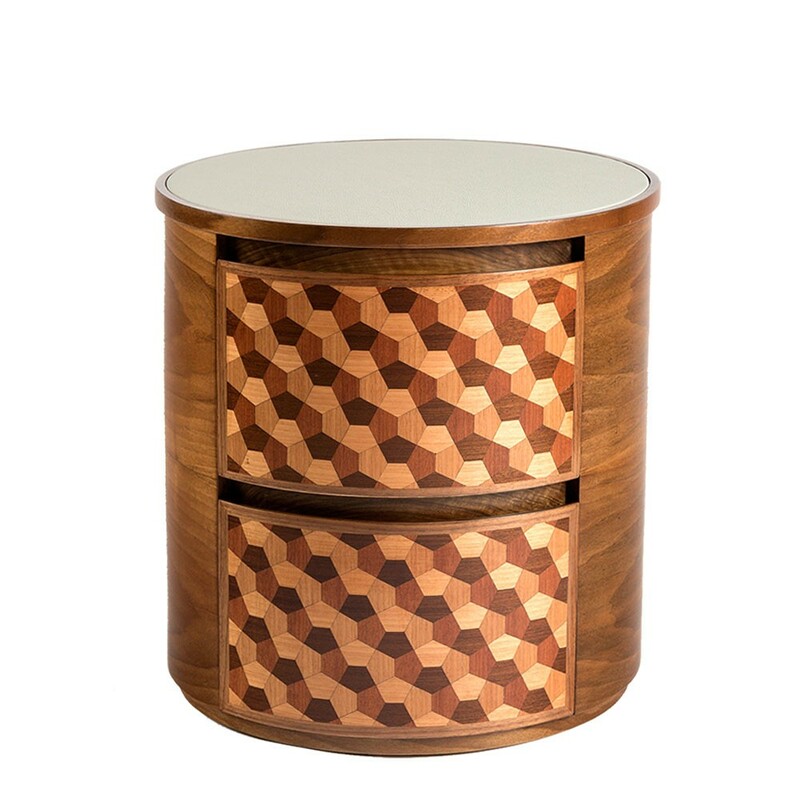 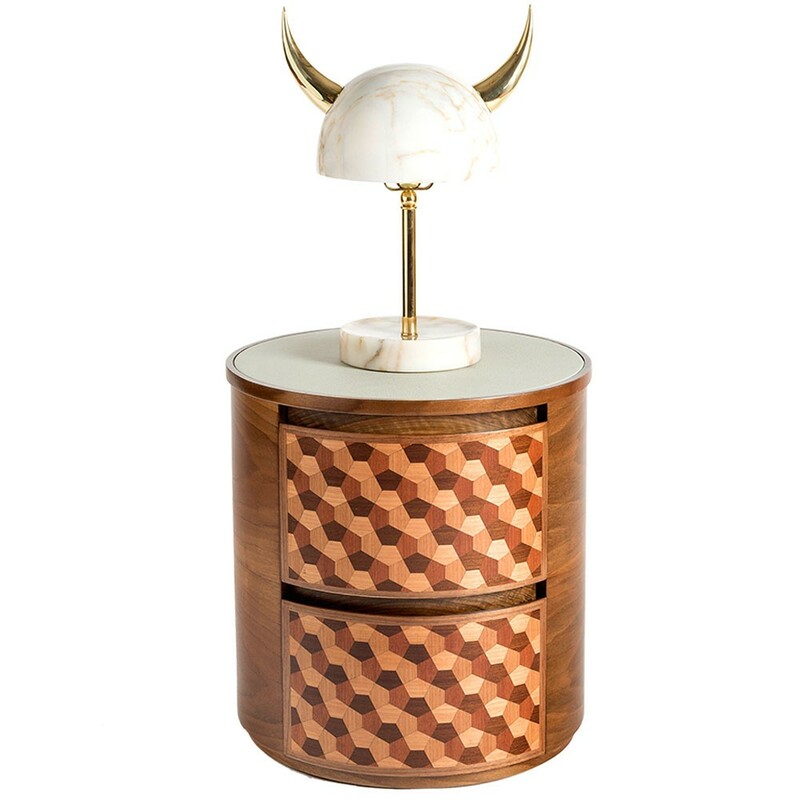 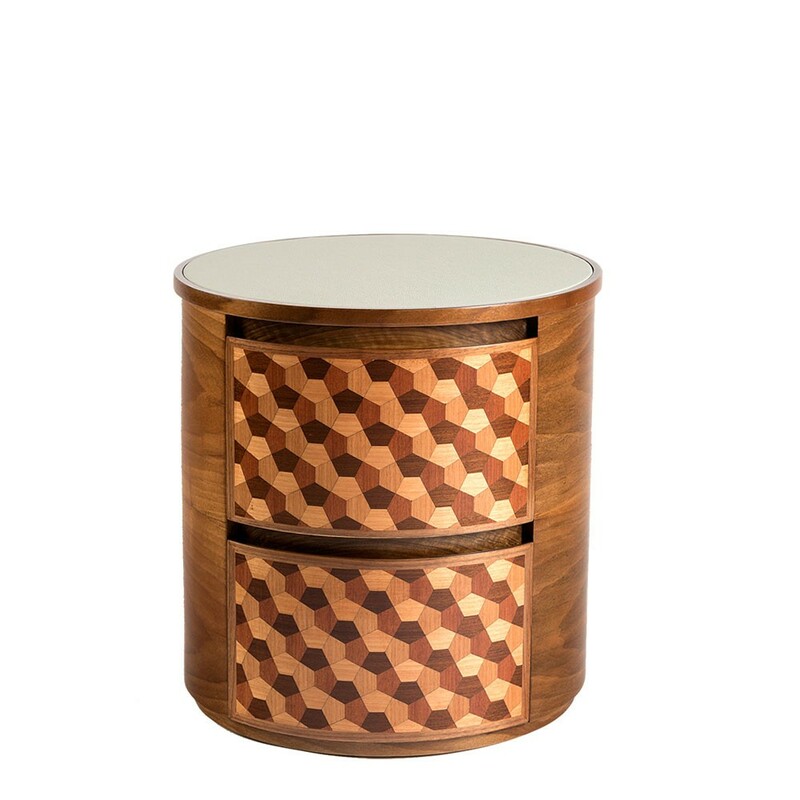 This exclusive "Dip Nightstand" is made from four monochrome colors of veneer wood. 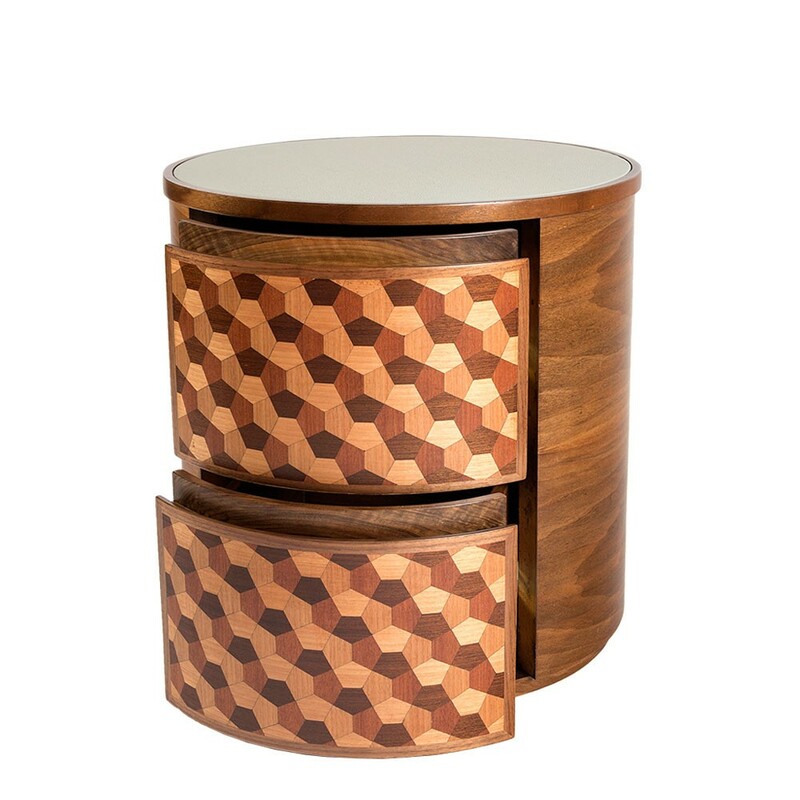 It is uniquely created by assembling geometric pieces together, portraying a fascinating 3D illusion. 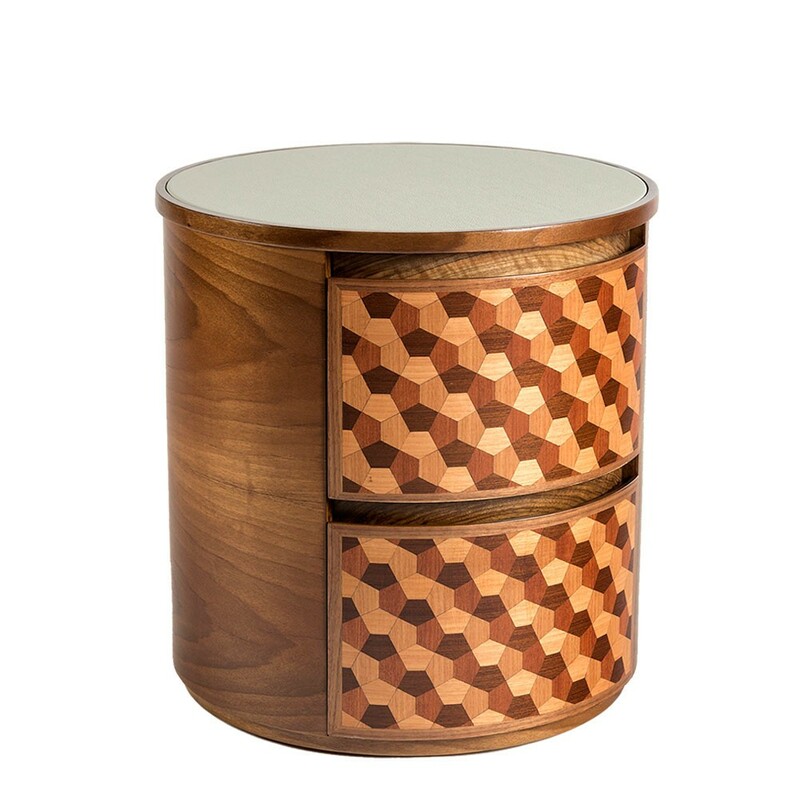 This handmade crafted round nightstand has customizable leather top surface which encompasses an overall vintage feel.